Learn how simple it is to configure Salesforce Identity as a Single Sign-on provider to third party applications. In this video we’ll quickly setup Salesforce as an Identity Provider for Google Apps. Today’s customer companies grow faster with a customer platform that connects their sales teams with their customers, so they can sell from anywhere. Learn how the most successful companies are growing revenue and redefining the future of sales. After Spring’14 release, Organizations that use Territory Management can disable the feature if necessary. To Disable this feature for your organization contact Salesforce.com customer support. After Spring’14 release, the initial Chatter Expert message is no longer displayed. The default message explaining how to use private messaging is no longer displayed to new users and users who have never used private messages. 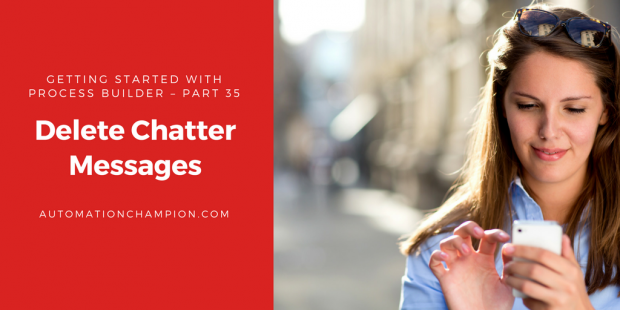 This does not prevent administrators from using Chatter Expert to post messages to their organization. Use the graphic below to assist in understanding and planning around the preview window refresh schedule. For example, if your Sandbox is on CS3 and you refresh it after 12 AM PST on May 31, 2014, it will be moved to a non-preview Instance. 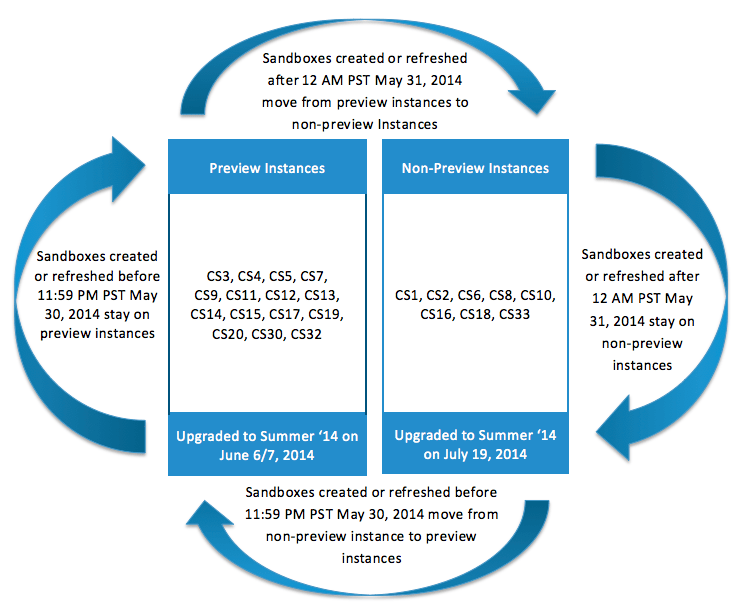 Note:- To learn more about Salesforce.com Summer ‘14 Sandbox Preview Instructions click on the link.